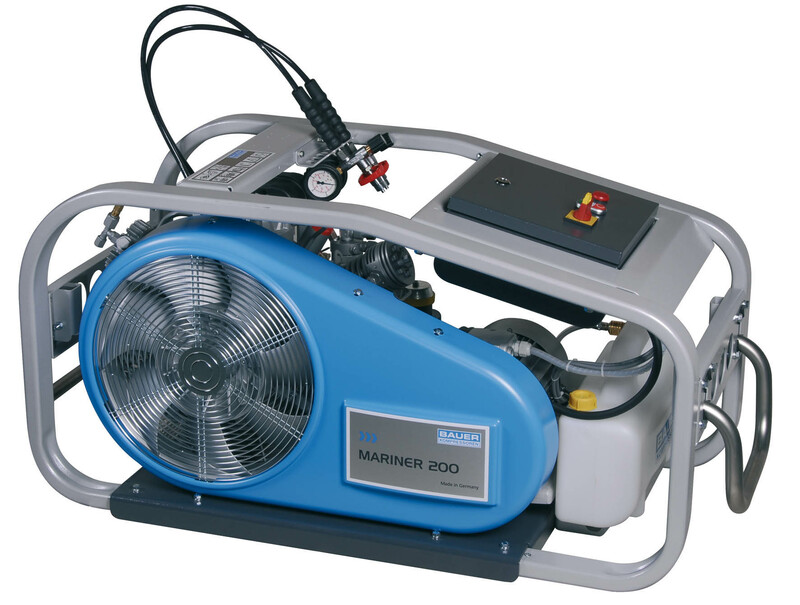 The Bauer Mariner 200 is a versatile and robust mobile compressor unit in the PROFI-LINE II series. With FAD of 200 l/min and a corrosion-resistant crash frame, this powerful and versatile mobile compressor has a range of system accessories that can be easily attached. The first stage and the high-pressure final stage of the Mariner 200 feature piston rings made from a new high-tech plastic which are virtually wear-free.